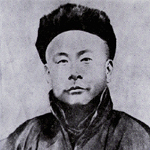 Founder and creator of the Jing Wu or Ching Mo Association. In the great timeline of Chinese martial arts history as portrayed in the many films of Hong Kong. Known in Cantonese as Fok Yuen Gap, or as I’ll refer to him in Mandarin as Huo Yuan Chia, this Kung Fu master is a hero of the people for being a strong and unifying force in Southern China by regaining the people’s pride in Kung Fu and creating the famous Jing Wu or Ching Mo school’s that exists to this day and many famous masters worked for the development of this association. In the first decade of the 20th century, China was battered by the failure of the Boxer Rebellion, uprisings leading to the end of Imperial rule by the Ching Dynasty, and by growing foreign intervention that would later lead to an invasion by Japanese forces. A young Huo Yuan Chia who is the laughing stock of his proud family. His father refuses to teach the boy his family Kung Fu due to his son’s inherent weakness. Instead, he hires a tutor named Chiang Ho Shan to train Yuan Chia in scholarly pursuits. But, wishing to be a martial artist and to make his father proud, Yuan Chia quickly forms a strong bond with Ho Shan who turns out to be a powerful martial artist from Japan willing to teach the boy. Ho Shan’s subterfuge is really meant to fool the family in order that he might secretly learn their Kung Fu. Ho Shan leaves a Kung Fu manual for Yuan Chia to study and returns to Japan. Twelve years later, Ho Shan’s impulsive student comes to China, challenges Yuan Chia, and loses. Ho Shan is ordered to reclaim Japan’s national honor by challenging Yuan Chia to the death and the two meet for an intensely bittersweet reunion that will test their relationship. The Kung Fu action in Legend of a Fighter is certainly exciting and creative. It even includes a Western boxing match with Kar Yan against a “Russian” fighter and Lee Ka Ting performing some decent karate style moves. But no martial arts film can be truly great without a story that elevates emotion and a message through the violence. This is where the film gives it’s knockout punch. All aspects of Kung Fu should be available to everyone, especially the weak of spirit, mind or body who would benefit most from a lifestyle that encourages discipline, respect, and longevity. In addition, those who excel at Kung Fu should not be prideful and look down on those who struggle. Grandmaster Wong Jack Man came from Shanghai with a letter from the Jing Wu or Ching Mo to teach and he started his school in San Francisco and has the oldest school in the USA that is Ching Mo endorsed. Our school is a branch of his from Master Liang Kam Yuen & Master Ricky Wing. Jet Li portrayed Master Hou Yuan Chia in the movie Fearless.